I've been on a blogging hyperdrive lately so if you haven't been on my page the past few days, you might want to continue reading the posts before this one as it seems like I published a new article a day, yes, like as if I'm a whole company of people working in an online publication house. Oh well, that's the goal this year. Last 2010 I started the blog thinking, "Oh, I want to start a habit. I will pretend I'm a columnist and write an article every Tuesday." Fast forward to 2012, I'm a team! 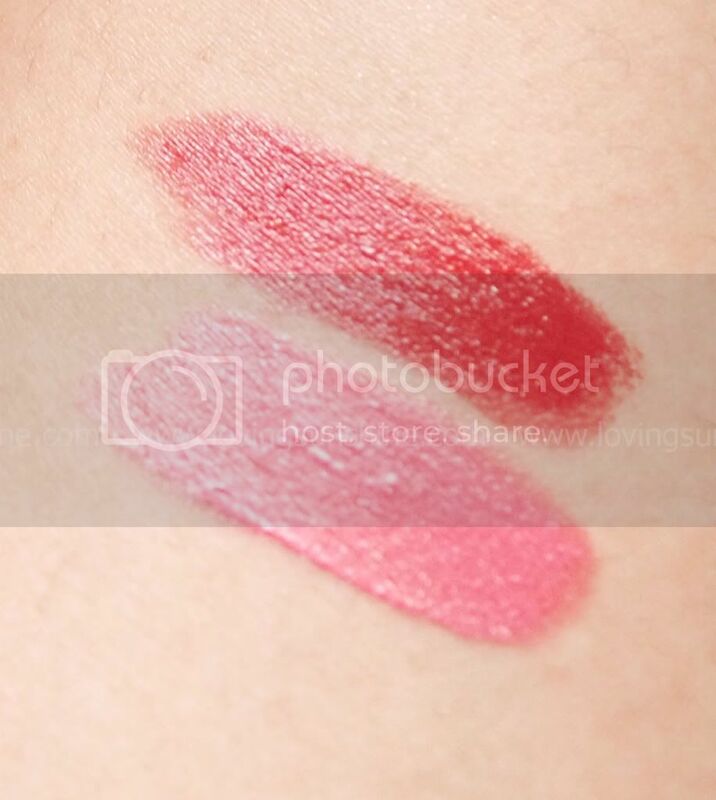 I bought these stunning Maybelline Color Sensational lipsticks along with some Watershine Pure lipsticks for my friend Krystal. I told you, I am hooked on this beauty swapping thing. I just get really excited when a reader approaches me and sparks a friendship. I'm a very friendly person, don't be deceived by my sometimes brooding aura. As you can see, the lipsticks are at Php299 each. That's a very affordable price for a stunning lip color. I got these shades with the blog in mind. As I was choosing shades for Krystal, I checked upon these fabulously named colors and ended up picking them up for me too. What I love about Maybelline's Color Sensational line is their packaging. I love how easy to understand it is. The Browns are in a bronze metal case, the Pinks in a pink case and the Reds in a red one. I brought home Brick Red. Let me share with you what Brick Red looks like. I think she's a beauty. Brick Red is a classic red lipstick. It is an extremely flattering color and it can work perfectly well with any skin tone from fair, honey, oriental and olive. I'm on the fair side, I think? 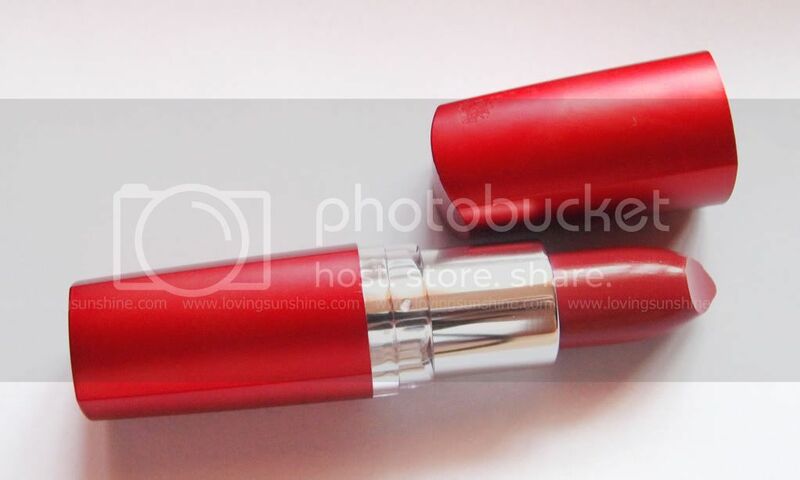 It glides easily on the lips, it doesn't feel thick nor sticky and it has a dewy finish, great for those who like to keep their lips looking dimensional and not flat. Here's another look at it's beautiful effect on my lips. Take note, my pictures are cropped only not altered for enhancement. Brick Red doesn't need any photo-shopping. 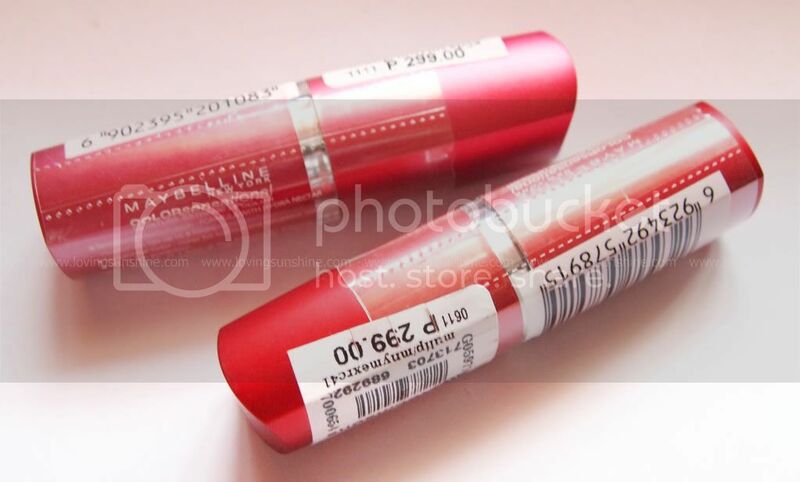 Besides having a great red lipstick, Maybelline also has a gem of a pink tone. Along with Brick Red, I got Pink Peach. To be honest, I got Pink Peach because of its name. For those who don't know, make-up wise, I'm very much drawn to love pinks and peaches. Now to have a make-up product named after the two colors I am attracted to, a lipstick no less, you have to give it to me, the freedom to buy it. Pink Peach is like your best friend turned to a lip color. It's something you can truly just be yourself with. It brings out the best in your smile and it can brighten up any gloomy day. Check it out in action, teasing with a blurry shot cause even with a blurry photo, it looks so angelic. This is Maybelline Color Sensational in Pink Peach. 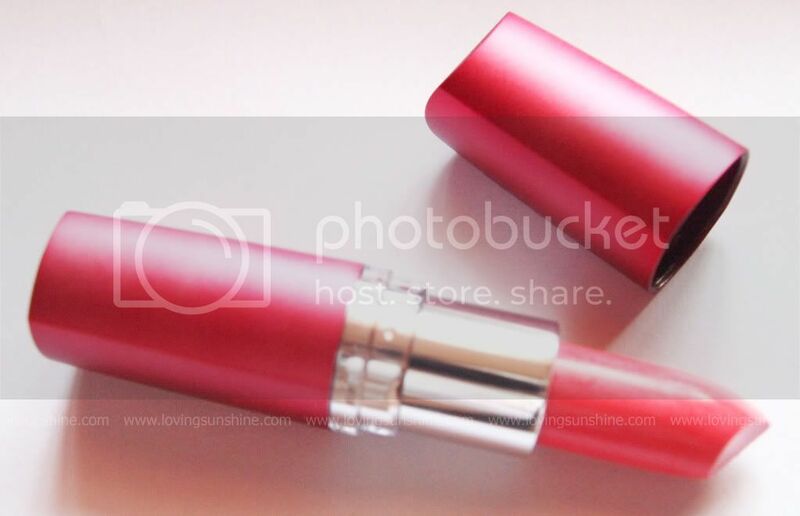 Because of its natural pink tone, this lipstick works best with your "every day" make-up. Pink Peach is the type of lipstick you can consider always keeping in your kit cause it is very appropriate and very wearable. Avoid Pink Peach if your have naturally dark lips as your natural lip color might overpower the prettiness of the shade. You don't want muddy pink. You want cotton candy pink. Uy these are really nice! Deep ang color pero not too bold. Just enough nga for everyday wear. The pink is really pretty. I've always liked maybelline lipstick too. available prin po ba ang pink peach sa market?